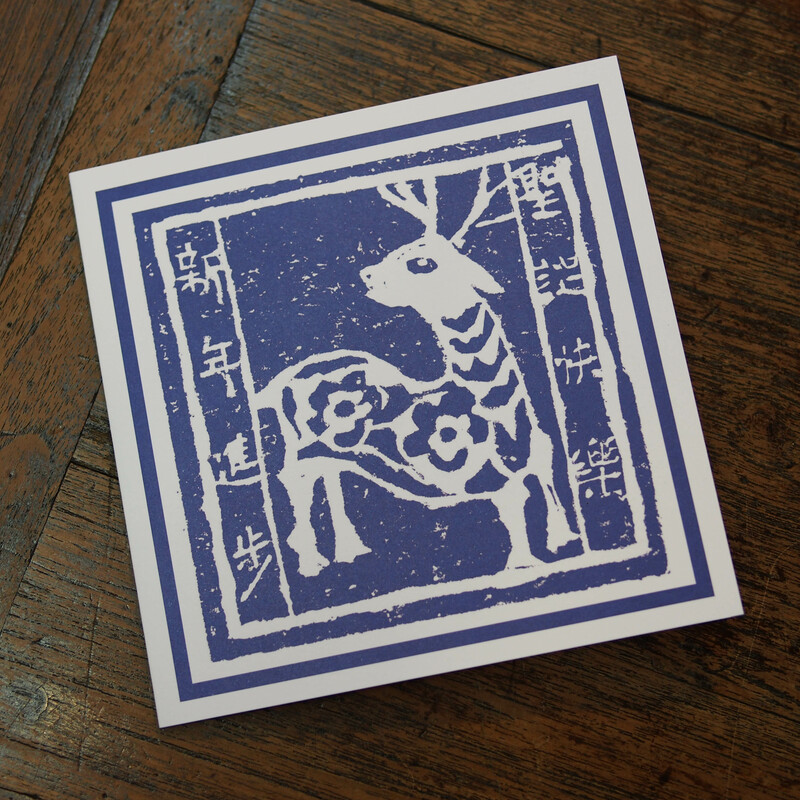 Wood block print presented on greeting card. 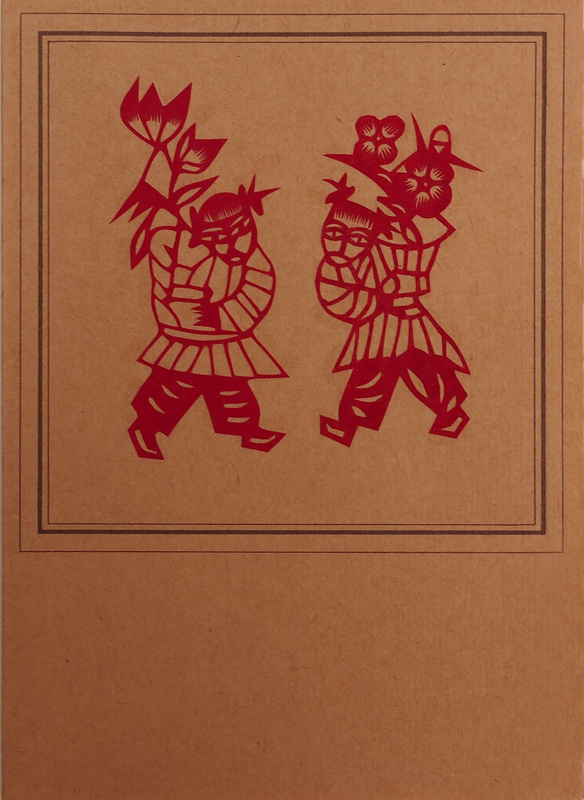 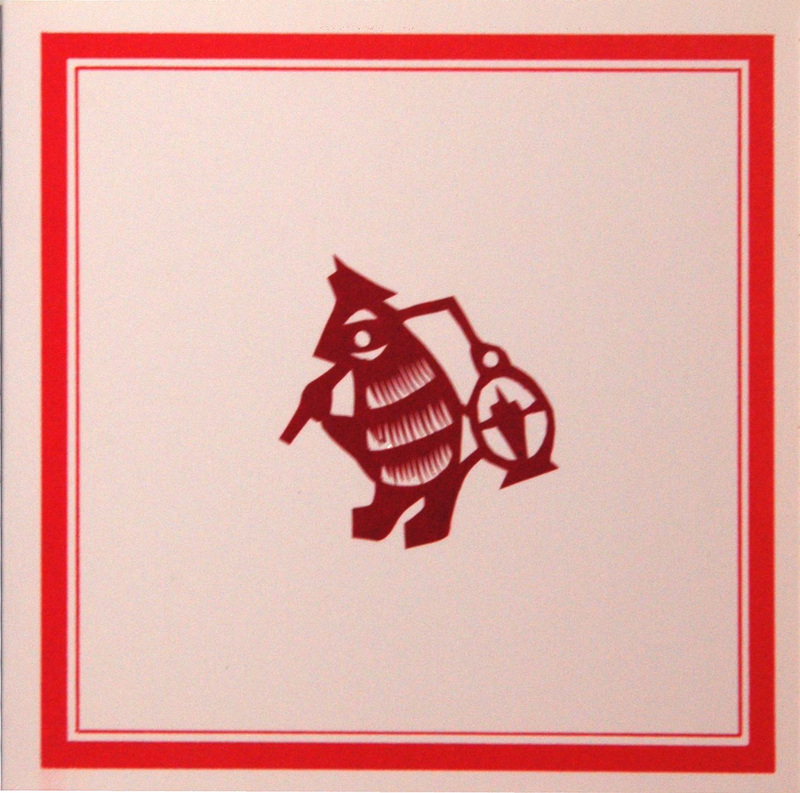 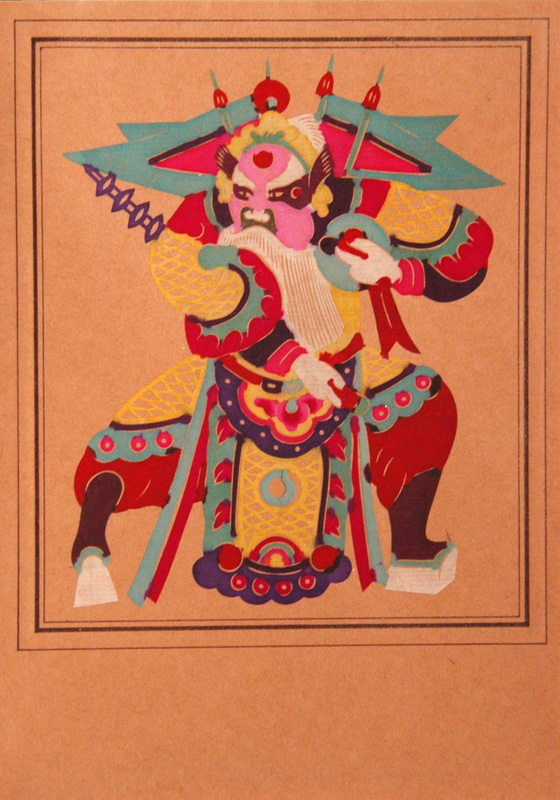 Paper cutout are used as decoration, it is still very popular in rural china. 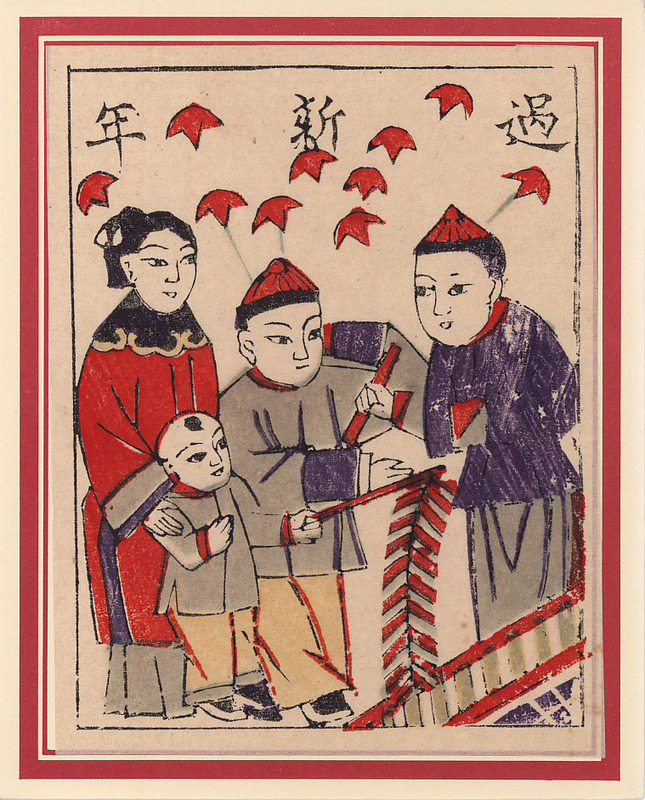 It is mainly practice by the girls in the village where the technique is often used as a basis to determine the skill of the bride. 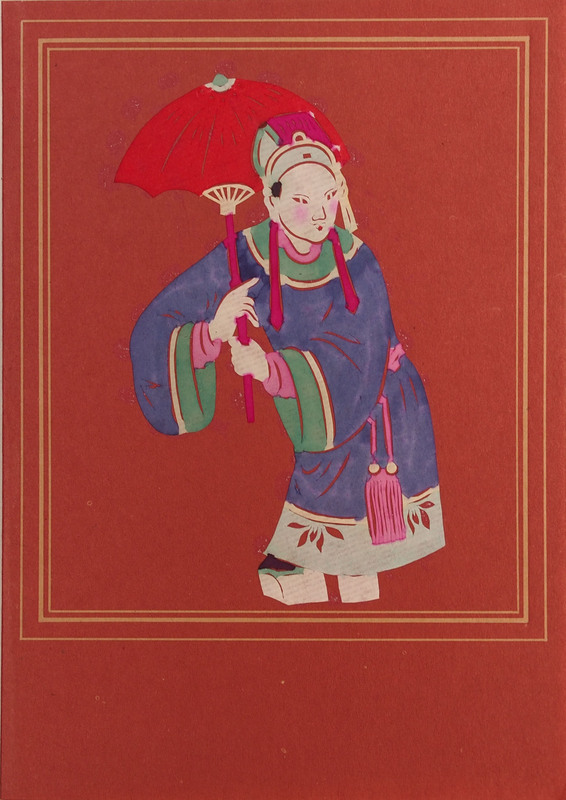 The paper cutout artists, however, are mostly male dominated. 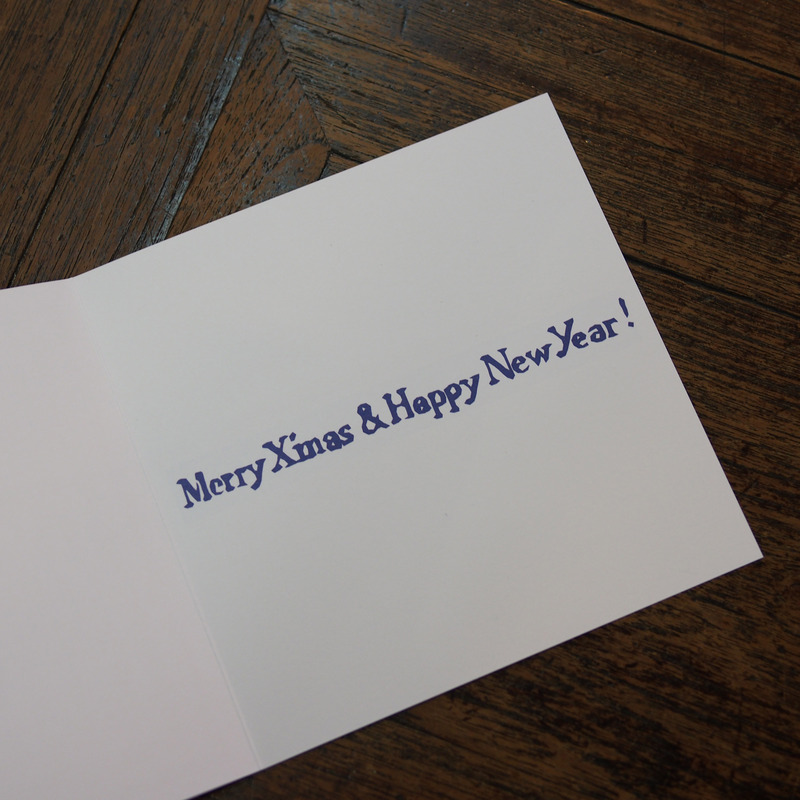 It can be made with scissors (often with a symmetrical pattern with folded papers) or with small chisel knifes. 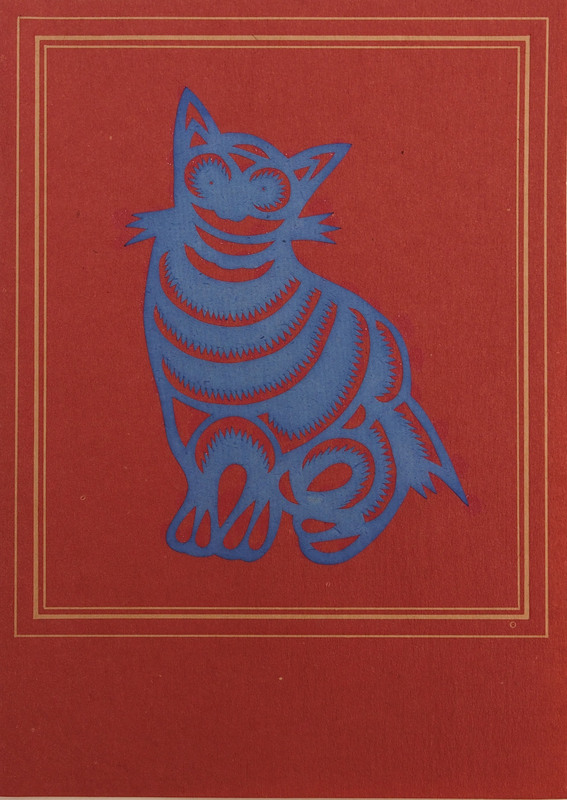 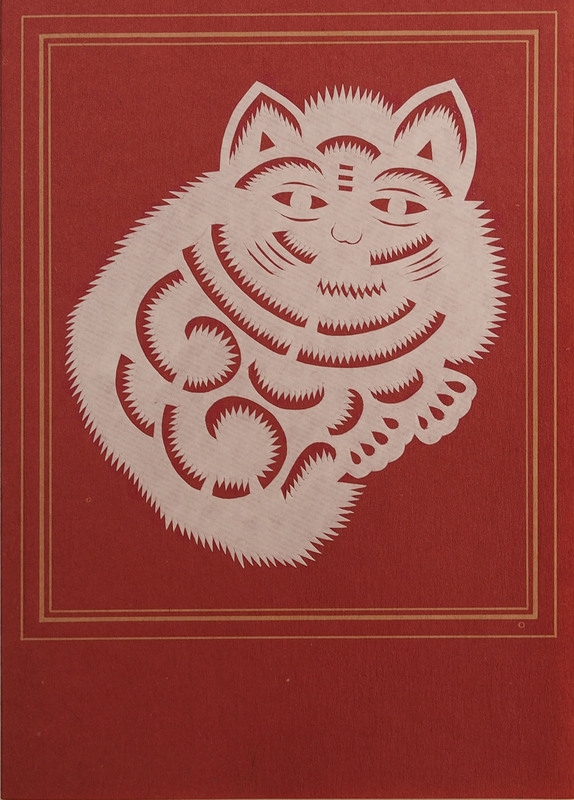 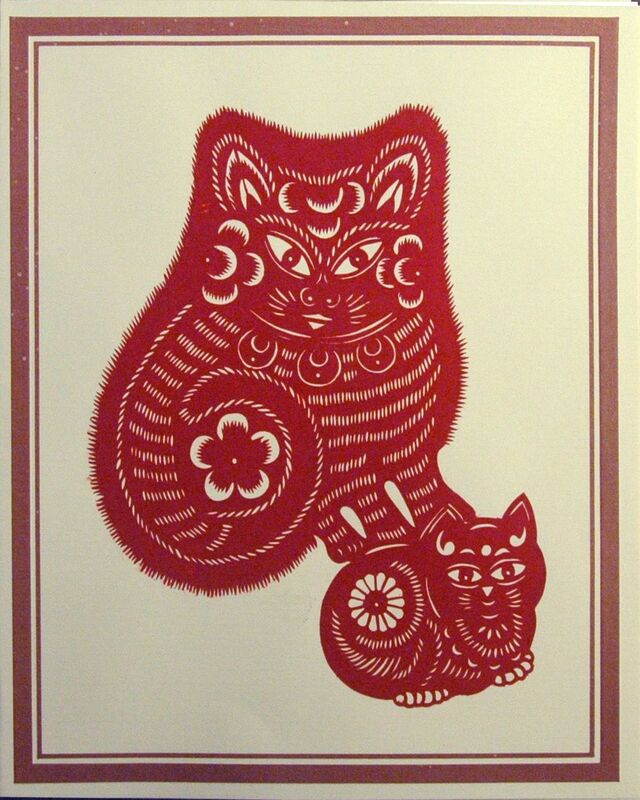 This cat and kitten cutout is presented on a greeting card.